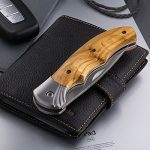 ERGONOMIC WOOD HANDLE – the handle of this gentleman’s knife has an ergonomic shape with developed finger recesses. 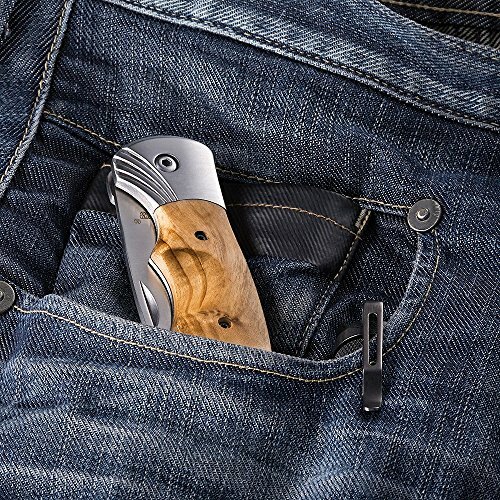 Covers of the handle made of solid exotic wood which gives this pocket knife a great look. 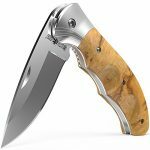 PRACTICALITY, COMBINED WITH EXCELLENT DESIGN – satin finish blade of the folding knife, wooden handle, reinforced with metal bolster axial part of the blade, “liner lock” assembly locking – all signs of “workhorse” is available! 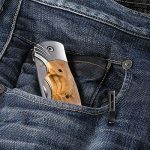 Folding blade allows to use it as pocket knife. 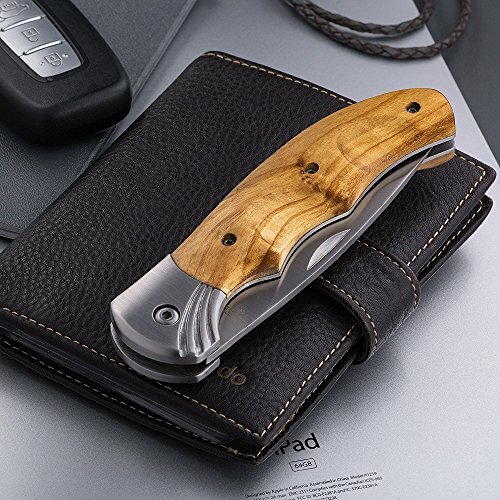 One of really good knives for men. BLADE MADE OF STAINLESS STEEL 440C – classic knife steel, which is used for the production of knives for over 50 years. 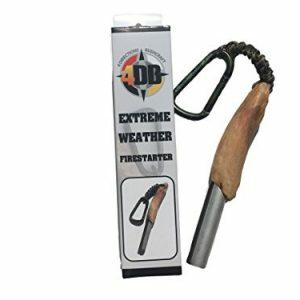 The “plus” of the material is an excellent corrosion resistance and the ability to “hold” the cutting edge for a long time. 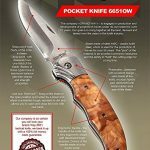 Grand Way 6651OW – cool pocket folding knife is designed for use by hunters, fishermen and tourists. It is every day carry gentleman’s knife. 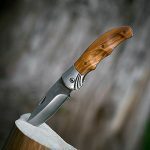 Nice, rather big than small, camping knife with wood handle and 3 inch blade. 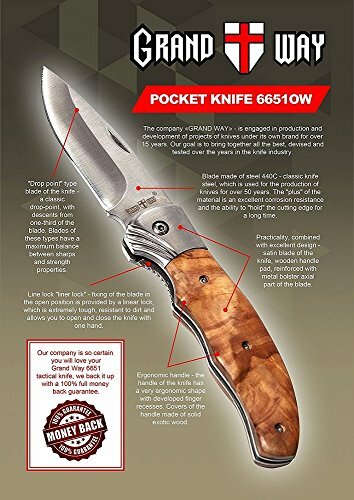 Satin blade of the pocket knife, wooden cover plate of the handle, reinforced with metal bolsters axial junction of the blade, “liner lock” – all signs of “workhorse” are available! This is one of the best knives for men and knives for women. 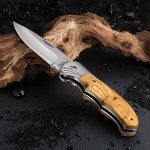 Locking mechanism in the open position is provided by a linear lock, which is extremely tough, resistant to dirt, corrosion but most, perhaps, the most important feature – is the ability to open and close this cool knife with one hand, and even with hand in a warm glove. The company «GRAND WAY» – is engaged in production and development of projects of knives (folding, hunting, tactical, souvenir, etc., with more than 1000 species.) under its own brand for over 15 years. 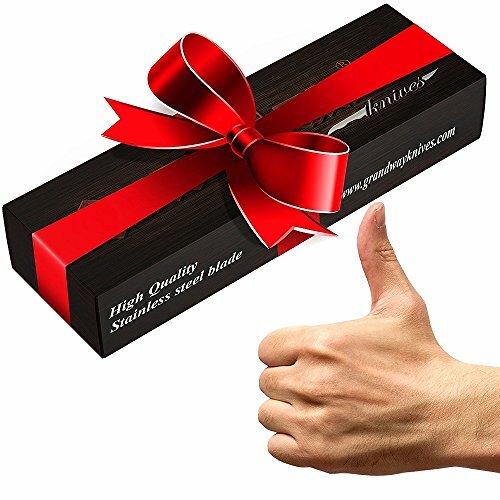 Our goal is to bring together all the best, devised and tested over the years in the knife industry. 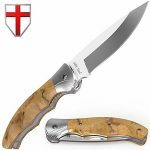 LINER LOCK – fixing of the blade in the open position is provided by a linear lock, which is extremely tough, resistant to dirt and allows you to open and close the knife with one hand. 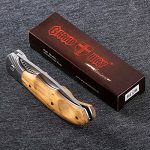 “DROP POINT” TYPE BLADE OF THE KNIFE – a classic drop-point, with descents from one-third of the blade. Blades of these types have a maximum balance between sharps and strength properties. One of the great pocket knives.